Iceland's Prime Minister, Sigmundur Davíð Gunnlaugsson, was on Al Jazeera's show The Stream yesterday. Watch the full interview below. On 17 May 2013 Icelandic media reported that Sigmundur Davíð, as chairman of the Progressive Party, would become Iceland’s next prime minister while the leader of the Independence Party, Bjarni Benediktsson, would take up the position of Minister of Finance and Economic Affairs. 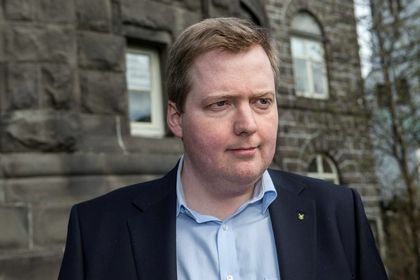 He is the youngest prime minister in the history of the Icelandic Republic and the world's youngest democratically elected head of government (born 12 March 1975). Iceland was one of the hardest-hit countries in the 2008 financial crisis. The government's response was heavily criticised, yet it ultimately pulled the country out of a recession. Iceland's story of recovery is often portrayed as a strategy that bailed out the people, contrary to other Western nations that chose to assist their financial institutions. 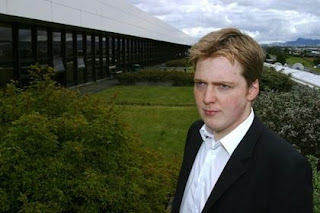 But admiration for the government's economic policies is not shared by all Icelanders. After dealing with years of rising debt and higher costs of living from inflation, citizens voted out their centre-left government in April, and replaced it with the centre-right parties largely blamed for creating the country's original economic disaster. The new government has promised to improve living standards by reducing taxes and homeowner's debt.